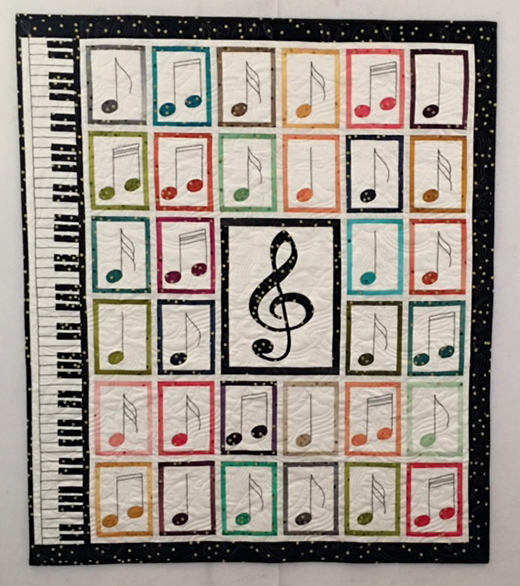 This Colors of Music Quilt designed by Mary Andra Holmes of Sister Quilting Trunk for Moda Bake Shop, The Tutorial is available for free. "My quilt designs start out as a design thought where I design a quilt then look for the fabric or a fabric collection by itself. Colors of Music design came from the complete fabric collection of Vanessa Christensons, Ombre Confetti Metallic. "